President Donald Trump approved Fox News host Tucker Carlson’s opening monologue that criticised the FBI. President Donald Trump approved Fox News host Tucker Carlson’s show on Thursday, in which Carlson delivered a scathing assessment of the FBI. Carlson, in his opening monologue, suggested the FBI “failed to stop” a series of deadly attacks in the US. Carlson listed mass murderers who were surveilled by the FBI, which included Pulse nightclub shooter Omar Mateen and the recent New York attacker Sayfullo Habibullaevic Saipov. 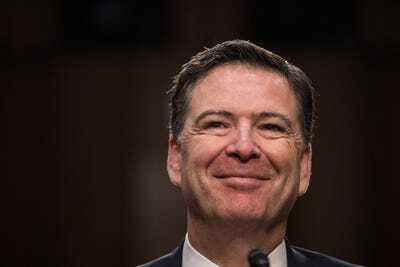 Former FBI director James Comey, who was fired by Trump in May, has been a source of ire for Trump and the White House. Critics have accused Trump of unduly interfering with the Justice Department, particularly after reports emerged of a meeting where Trump allegedly asked Comey for his “loyalty” and to drop the investigation into former national security adviser Mike Flynn. Trump has since railed against Comey and the FBI, accusing the bureau of leaking sensitive information to the media. “James Comey will be replaced by someone who will do a far better job, bringing back the spirit and prestige of the FBI,” Trump tweeted, shortly after Comey’s firing. Despite Trump’s claims of a declining FBI, Benjamin Wittes, Lawfare’s editor-in-chief and a personal friend of Comey’s, replied to his tweet with a different assessment of the former director.